Taglines: Nothing is real, everything is possible. An earlier, longer, work-in-progress version of the film was rejected for competition by Cannes, which offered that cut of "Mr. Nobody" a out-of-competition berth. Revealing mistakes: Various characters have British accents when they're younger and American accents when they are older, or vice versa. Elise: What are you doing today? Nemo Nobody adult: I was thinking about taking the opportunity to wash the car. Elise: What's the deal with that car? Nemo Nobody adult: What do you mean? Elise: Why do you take such good care of that car while you leave me here all alone? What's the problem with the car? 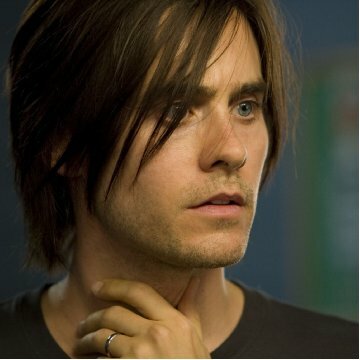 Nemo Nobody adult: [goes outside to set the car on fire, then goes back to Elise] There's no more problem with the car. Just caught the north American premiere at the Toronto Film Festival. This is my first IMDb comment, doing it cause i saw no one else has written anything yet. Jaco is an absolutely brilliant writer/director. I haven't seen too many art-house films, but I was pleasantly surprised by the tone which wasn't too serious, or pretentious. There were laugh out loud moments during a movie with themes concerning choice, destiny, and metaphysics. I was enamoured by the love story, it was feel good without being Hollywood. The visuals were amazing. I believe that Jaco explained that he used different DP's to film the different possible lives of Mr. Nobody. There were scenes set in the year 2092 that were absolutely stunning on the big screen. I found the soundtrack to be awesome. Any movie with "Mr. Sandman" and "Where is my mind?" is alright by me. The movie was extremely imaginative, original, funny, and will probably have me thinking about it and my own life for days after viewing.